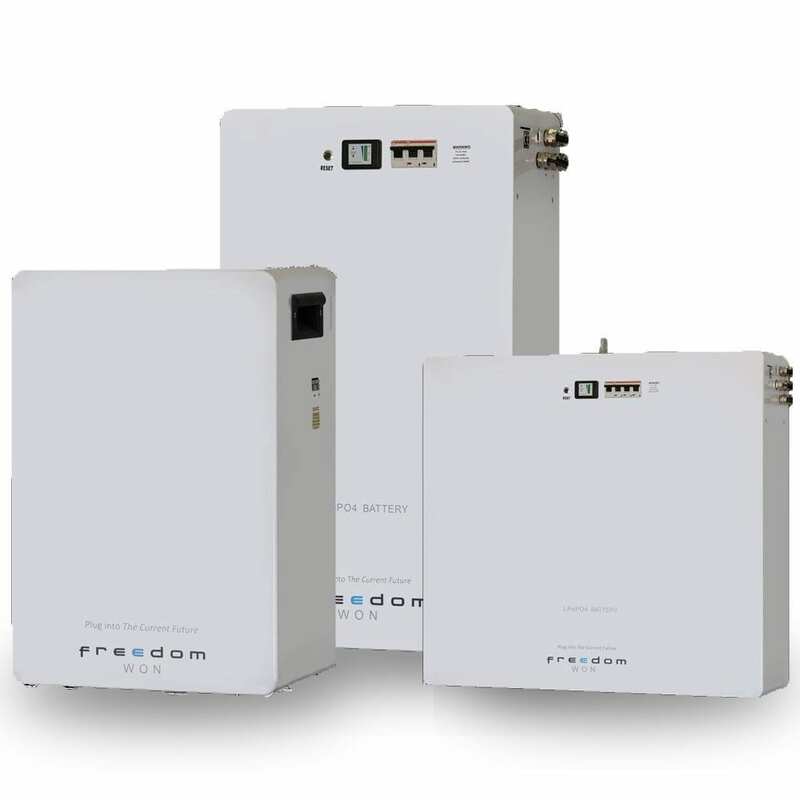 The Freedom Lite Home and Freedom Lite Business range from Freedom Won offers the long overdue next generation energy storage with a quantum increase in service life and operational efficiency at a fraction of the lifecycle cost compared to other energy storage options. The Freedom Lite Home range covers the varying needs of home owners and even small business premises with models ranging from the Freedom Lite Home 5/4 to the largest 30/21. These models are wall mounted offering the ultimate in space saving. All models are integrated with the necessary Battery Management System (BMS) and control circuitry to protect the pack and interface with the separately supplied external inverter/charger unit â€“ lithium cells can not be operated without a BMS. The standard Home enclosure is powder coated with white sides and face. The BMS provides digital potential free contacts for independent control of the inverter load and the charge from the main charger and solar charge controller through a multi-pin plug on the side of the module, which also includes pins for voltage sense and charge current control for compatible chargers. The BMS is fully configured prior to delivery. Positive and negative studs are provided for connecting the 48V DC cables to the inverter and solar charge controller. The DC circuit is protected with a shunt trip circuit breaker.